Every month over 200,000 forms are submitted using AppSheet, serving hundreds of scenarios and industries. Our users are building every type of data-gathering app imaginable, so we decided to share the seven best practices from power users in the AppSheet user community. 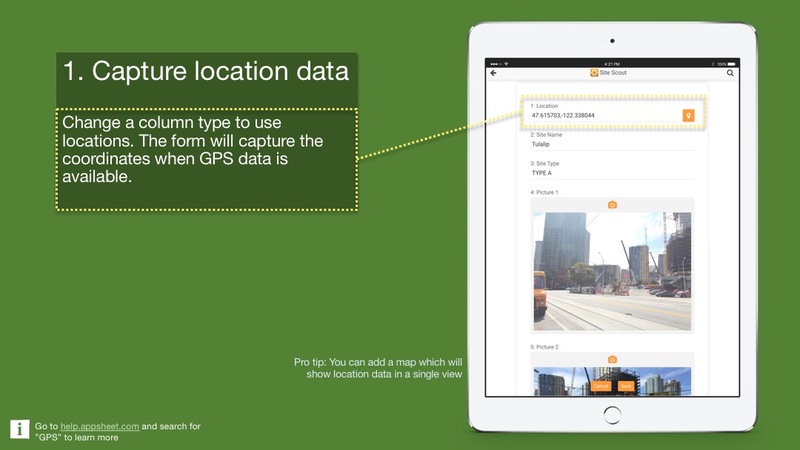 You can apply all the features below to any AppSheet app that captures data. We provided each tip with a keyword search to our knowledge base where you'll find additional resources to build apps. Click on an image to learn more. 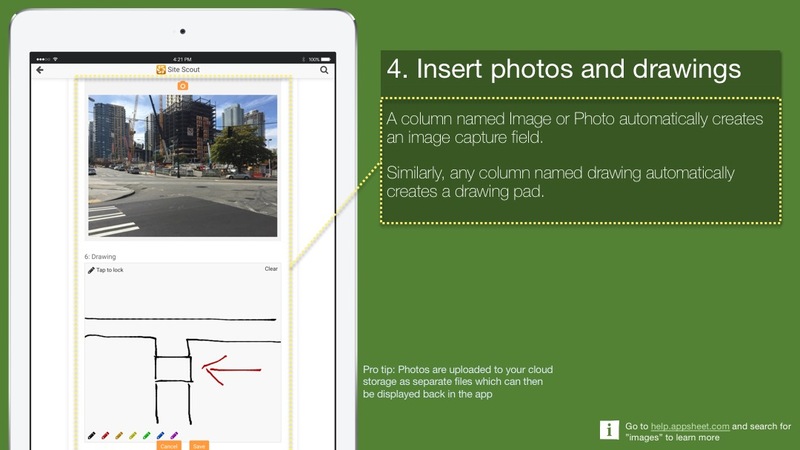 We used Site Scout to show capturing GPS location, images, and drawings. 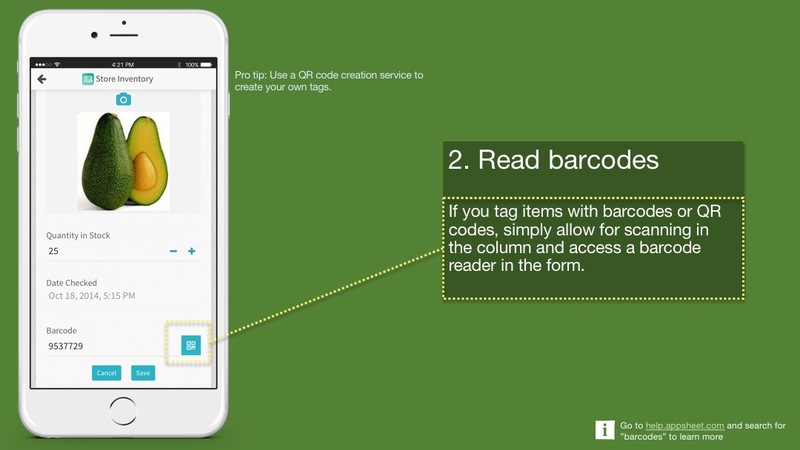 We used Store Inventory to show how to add a barcode scanner to the app. 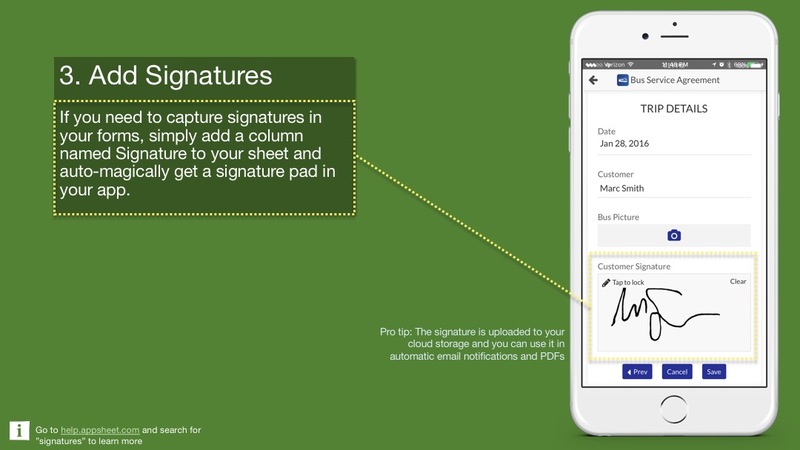 We used Bus Service Agreement to show how to add signatures. 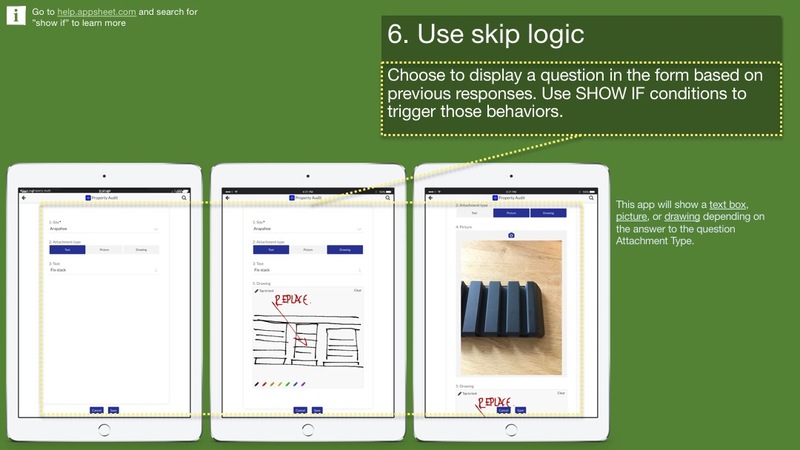 We used Property Audit to show skip logic in the app (this is a really cool feature!). We used Lead Tracking to show dependent dropdowns. 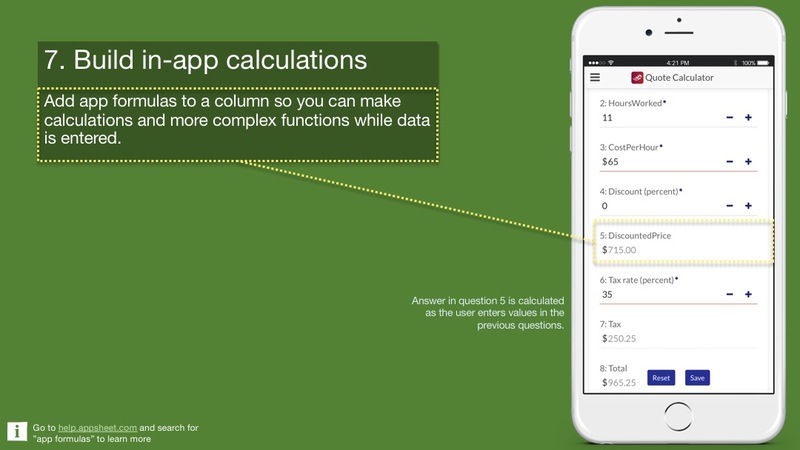 We used Quote Calculator to show in-app formulas.